We have a first for this interview series – a return guest. Good people of the Internet, still writing out of Manchester in the UK – CJ Harter. The masterly and unique ghost story The Little Stranger by Sarah Waters. This is a superior take on the genre. It serves up genuine shocks and takes the ghost story into chilling territory it rarely visits. An anthology of every short ghost story ever written in English. I restrict it to English only because I don’t read well in other languages. Ok then, let’s include every short ghost story ever translated into English as well. I know this anthology doesn’t exist. But it should! Dark Matter by Michelle Paver. I knew her as a children’s writer, so I didn’t think a ghost story by her would pack much of a punch. Gosh, was I wrong. Chilling in every way. That’s got to be my new one Fitful Head: A Ghost Story. The early reviews confirm that readers are finding it scary. This is such a relief to me. When you’re close to a story in the writing process, it loses its initial impact on you as you draft and redraft. I feared I’d edited out the creepiness, but apparently not. In terms of my passion for ghost stories, this has to be The Turn Of The Screw by Henry James. I was thirteen when I first read it and it scared me rigid. Then I reread it straightaway and experienced that delicious feeling of seeing events through a different prism. Was it a story of haunting or of madness? I read it regularly and each time I veer from one interpretation to the other. I also love the film version called The Innocents. All the books I’ve ever read have influenced my writing. To pick one. Hmm, well if we’re sticking with ghost stories, I guess Wuthering Heights is the ultimate ghost story. And what’s more alluring than a love story that transcends death itself? I have only two novels published so far. Can I mention them both? The first, Rowan’s Well, is a psychological suspense that explores the darkness at the heart of a new father. CJ Harter’s dissected human bodies, shushed library-users, shared poetry, organised bedbaths. Now she helps folk connect with creativity through writing. She has a degree in Literature and Philosophy, she’s mother to two adults, wife to one and slave to two tiny dogs. 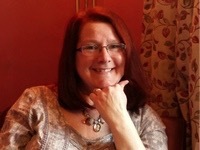 This One Book interview focuses on her lifelong love affair with ghost stories and marks the release of her new novel. You guessed it: a ghost story. 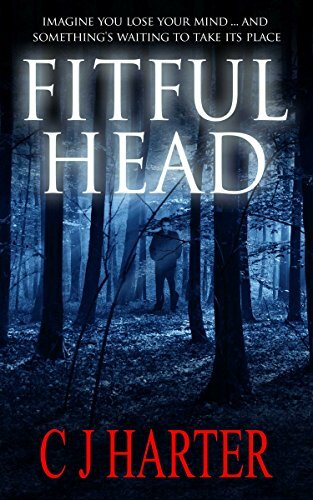 If you are interested in my (Andy’s) review of Fitful Head, you can read it here.